OLD PARKED CARS. : 1978 Subaru Leone Wagon. WOW. There's probably 20-30 of these left in the US. Awesome find. Love the stance, looks so mean. dangitben! i caught a fleeting glimpse of this turning a corner on my commute home about a month ago and doubted my own sanity. 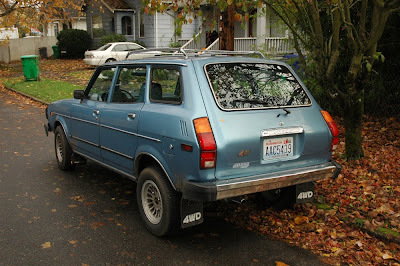 when i saw the word subaru in your post title, i knew--with some irritation--it was going to be blue. beautiful pics. stance is hilarious. love the color, i suppose that paint could be original, eh? is that mt scott in the background of shot #1? i'm gonna check my years. This is so.. rally-esque. from the mud flaps to the wheels to the push bar. Needs extra lights mounted everywhere. 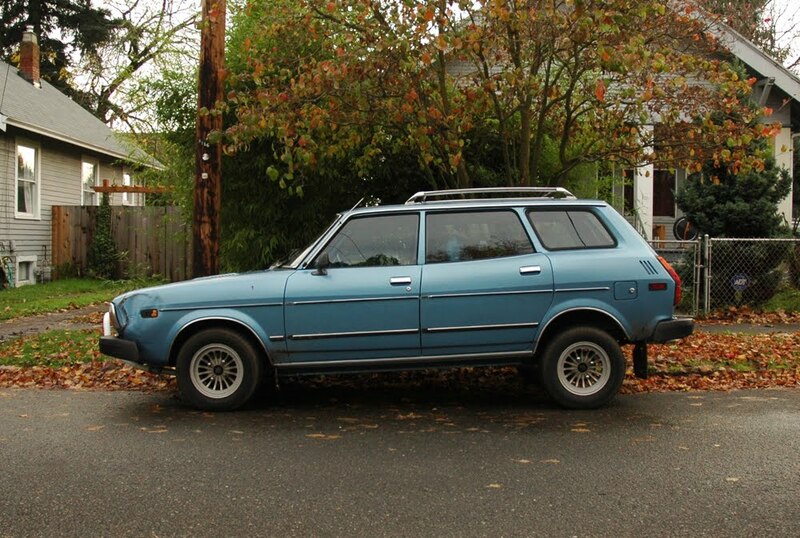 That is a '78, I have the same wagon (even color, paint is factory) sitting in my driveway. I roll it around seattle and tacoma all the time. 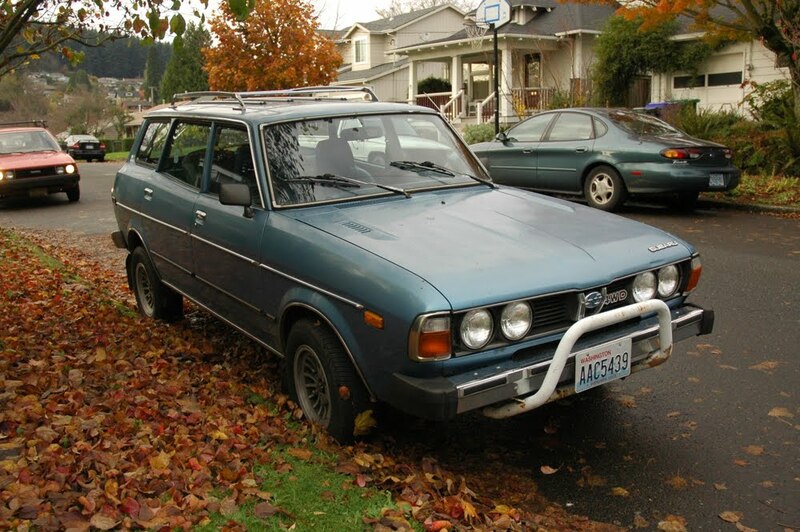 Yuck... those funky 70's Subarus were so FUGLY. Never liked those oddball, ugly ducklings of Japanese cars. 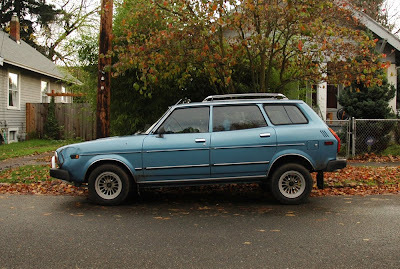 They looked like they were designed by AMC Motors.